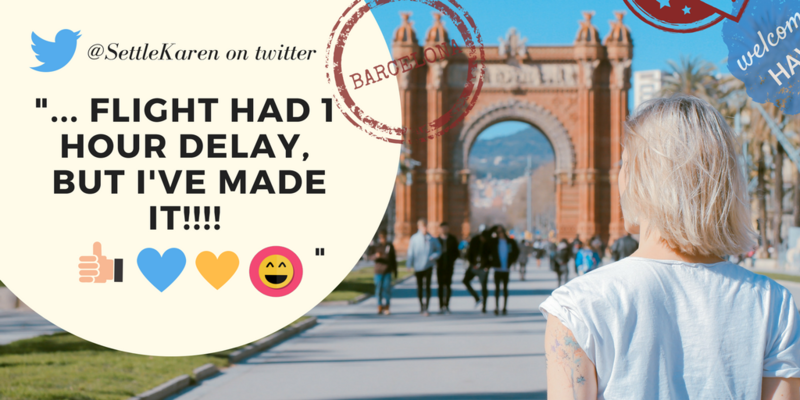 No-one wants to hear that their flight’s been cancelled or delayed so we’ve put together some hints, tips and things to remember if you’re caught with flight delays. 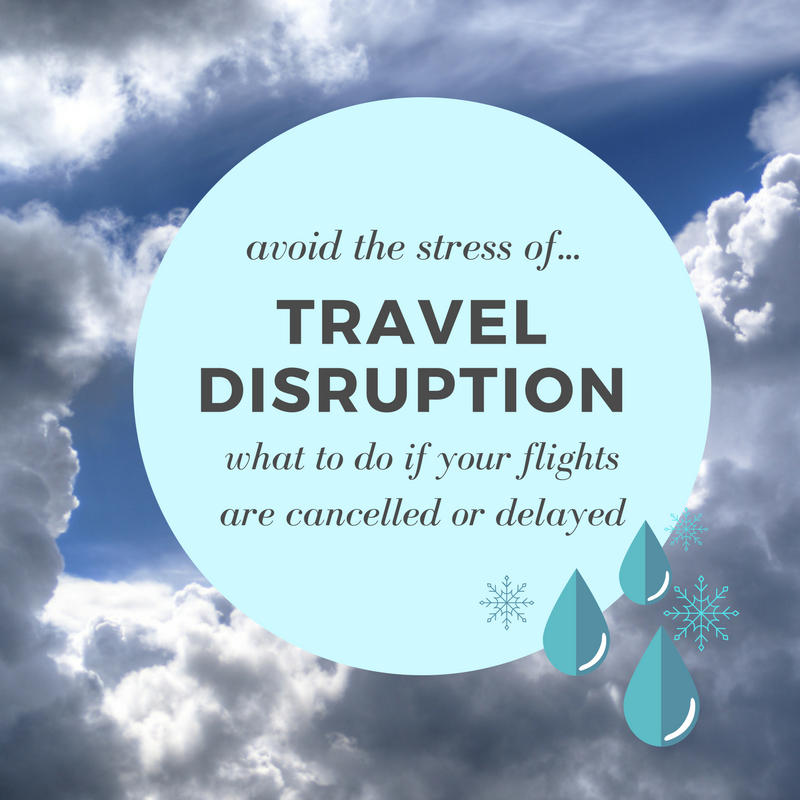 Avoid the Stress | What to do if your flight is delayed or cancelled | Airline Customer Service Numbers | What are my passenger rights? Check flight details with your airline as soon as possible, if your flight is cancelled you may be better off staying at home. You can search for your flight in our online departures and arrivals board. Keep checking for up to date information about the airport either through Twitter.com or by calling the airline directly you can find all the airline numbers by clicking on the correct airport contact link above. You can also check all flight disruptions on the BBC website. Probably the most important one, leave yourself plenty of time to get to the airport as driving to the airport is probably the most dangerous part of your journey. The main thing is try to stay calm, the airlines are doing everything they can to get your flight in the air without putting anyones life in jeopardy. Take a look at our handy hints and tips about preparing for the airport and getting there on time. Just to say thx Flybe for keeping me informed about tonight's Manchester to Exeter flight delay. I've had an email, text and food voucher. Check out this handy tool that calculates how much compensation you could be due! 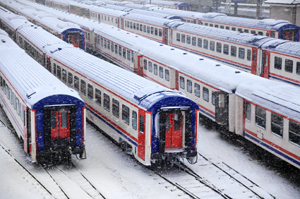 Take a look at what you should do, based on how long your scheduled delays are. Find out more on 1, 2, 5, 9 to 24 hour delays as well as cancellations below. The best thing to do is wait for your departure. If you’re traveling with kids, play some games; if you’re traveling for work, most airports have wifi so pick up a coffee and take a seat at your gate and plug in the laptop. You may find the airline lets you sit on your plane before it departs so you can take this time to read the on-flight magazines, listen to music or familiarise yourself with the safety equipment. Check with your destination transfer companies. Pre-booked airport taxis may follow your flight details and will know your estimated arrival already. If it’s a hotel transfer service, it’s a good idea to call them and let them know you’ll be later than expected. 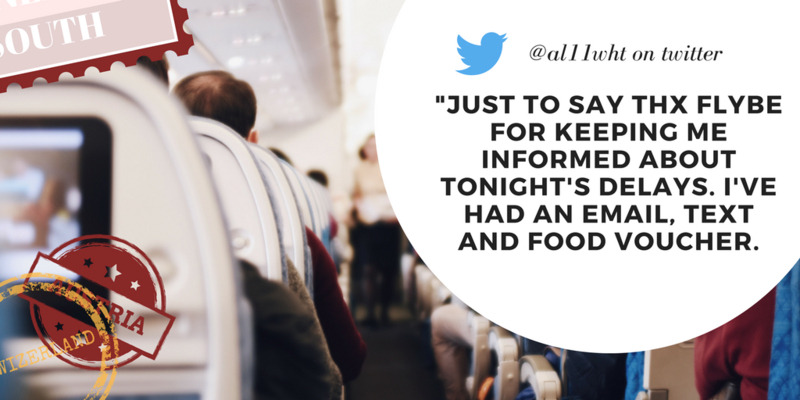 At 2 hours, the airline should provide you with free meals while you wait and accommodation if needed. It’s worth contacting your provider as every company is different. The best advice is sit tight and keep up to date with departure boards as the specific time may be subject to change. Grab a bite to eat, revisit duty free or read a book. You’ll be on your way soon. 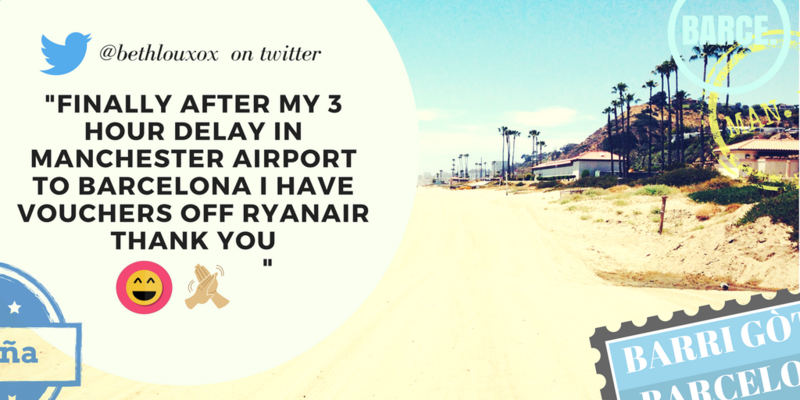 After 5 hours, you can qualify for a refund on your flight so it’s worth deciding whether it’s worth flying. If you’re abroad, it’s worth sitting tight for your flight to depart but you may decide otherwise if you’re on your outbound journey. Is your flight is part of a package holiday? Then you’ll need to contact your tour operator to deal with refunds and rearranging your flight. If you decide to wait for your flight, why not play some of our fun airport games, shop in duty free or pick up some food and drink at one of the many airport bars and restaurants. You now qualify for a refund so it’s your choice whether you want to stay put and wait or ask the airline if you can cancel and refund the trip. Check your passenger rights on what you can get compensated for – you are not eligible for financial compensation if your flight is delayed but you are entitled to food, refreshments and accommodation if your flight is delayed overnight. Top tip: Make sure your airline agrees to providing you with accommodation before you book as they can deny excessive expense claims – if possible, it’s worth getting verbal and/or written consent (even in an email) as proof. You can wrap up warm and take a nap in the departure lounge or look into what airport hotels are available and which ones you can get reimbursed for by your airline and remember to keep the receipts. If you’re returning to work but can’t make it back in time, it’s worth contacting your employer as they’re not legally required to pay you for hours you’re unable to work because of flight delays. Your airline must give you the option of rebooking an alternative flight or requesting a refund. If you’re abroad, you’ll want to check for alternative flights to get home as quickly and safely as possible. Find the shortest queue to rebook your flight and call the customer service line while you’re queuing up, you may be served on the phone before you reach the end of the queue which will get you on your way faster. Top tip: if you know you’ll have to stay overnight, why not call up a local hotel while you’re in the queue as well – when a flight’s cancelled, rooms will be snapped up fast! Getting to the end of the queue: if you don’t ask, you won’t get so if you’re forced to stay overnight, ask if your airline will reimburse you. If getting an alternative flight is not an option then you should consider alternative modes of transport. For example, you could consider hiring a car and driving to your destination. Top tip: Some airports rely on train and/or ferry transfers so if you’re travelling to a neighbouring country, your airport may offer you a ferry-alternative such as Exeter to the Channel Islands. Or you can look into ways around it yourself. For example, from London to Paris, you could take the Eurostar. Contact your employer if you’re abroad and can’t get back to work on time. Your workplace isn’t required to pay you if you’re not at work due to flight delays but each employer is different to it’s worth giving them a call and discussing your options. If you’re still in the UK, it’s worth checking the day’s traffic from the airport with your airline. If it’s been delayed due to extreme weather, none of the airlines may be flying so you might want to stay at home instead. Getting to Manchester doesn’t have to be a wasted trip if you decide not to fly, there is lots to do in and around Manchester with the family. Read below for advice on what compensation you could receive, how to rebook a new flight, what flight credit is and what your passenger rights are. Bare in mind that If the flight is cancelled due to reasons out of the airline’s control they will not pay for cancellation of your accommodation or cancellation of any other arrangements – this includes weather. However, if you’ve taken out travel insurance then you should be able to claim back most of your expenses from them. For more specialist advice, read our blogs on Special Assistance and traveling with Autism, Traveling with Children. @KLM, i would like to thank klm and the manchester groundcrew for making a bad day of flight cancelations/delay due storms with a ?outcome. Here’s your handy address book of airlines running from Manchester Airport, available to call if you find yourself in a difficult situation because of delays and/or cancellations. Bare in mind that if you call an international number or are using your phone abroad, you may be charged extra by your network provider. Finally after my 3 hour delay in Manchester airport to Barcelona I have vouchers off Ryanair thank you ??? What are my passenger rights and what compensation am I entitled to? Airline has a legal obligation to provide you with transport to the destination that you booked. It may be that they offer you an alternative, anything from flight credit to offering an alternative flight to a neighbouring airport with transport to your destination via bus or coach. After 5 hours, you can request a refund or flight credit from your airline. See below for a list of airlines customer service contacts. If the flight is cancelled due to reasons out of the airline’s control they will not pay for cancellation of your accommodation or cancellation of any other arrangements. However, if you have taken out a comprehensive travel insurance policy when you booked your holiday you should be able to claim back most of the expenses incurred from cancelling the holiday from your travel insurance provider. If you are not eligible to compensation by the airline itself, you may eligible through your travel insurance. 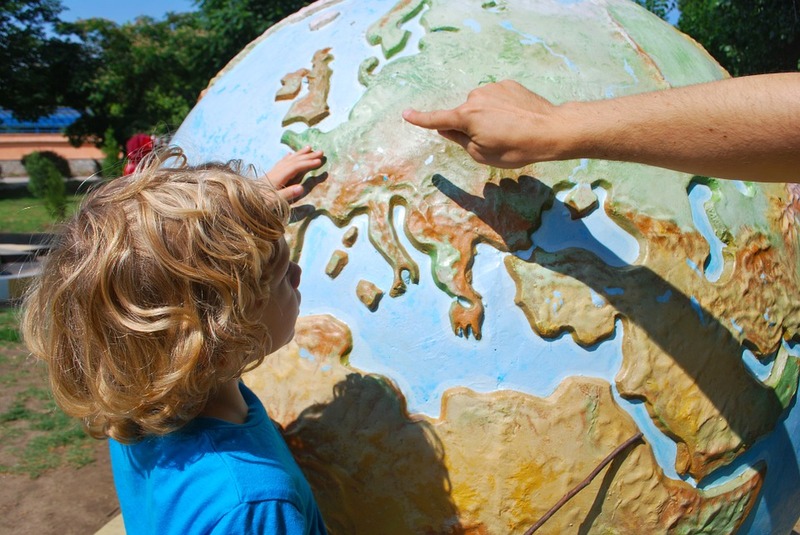 All travel insurance policies are different and offer different levels of cover. It is best you contact your insurance provider or read the policy wording document on their website to find out. Before booking emergency accommodation, always get verbal and/or written consent by your provider that they will reimburse you and keep hold of any receipts or you may be left out of pocket later. If you booked through a package holiday or are late for a cruise from the airline’s destination, the best thing to do is contact your tour operator. What if I can’t make it to work tomorrow because my flight was cancelled? Unfortunately, you are not entitled to pay from your employer if you are unable to get to work due to delayed or cancelled flights. It’s worth getting in touch with your boss, letting them know about the situation and agreeing an arrangement with them. @Ryanair Any info on the FR4333 flight from Tenerife South to Manchester? What's the delay? 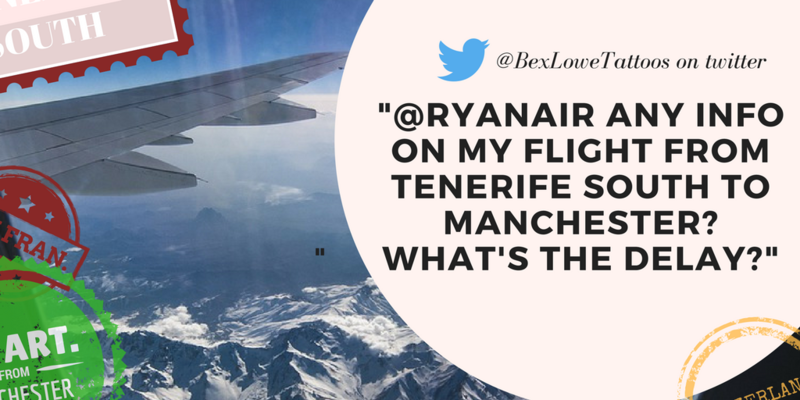 Why does snow disrupt Manchester Airport so much? A plane must be completely de-iced before it can take off as any ice on the plane affects the aircraft wings and fuselage which makes the planes more difficult to control. 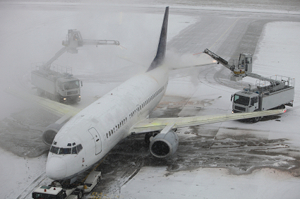 In severe cold temperatures planes must take off as soon as they are de-iced to prevent ice building up again, therefore this causes delays as de-icing cannot be done in advance at the start of the day. The runways and roads must also be snow and ice free which the airport usually clears. If the airport is inflicted with heavy snow then the airport may have to be closed while the airport is cleared of all snow. 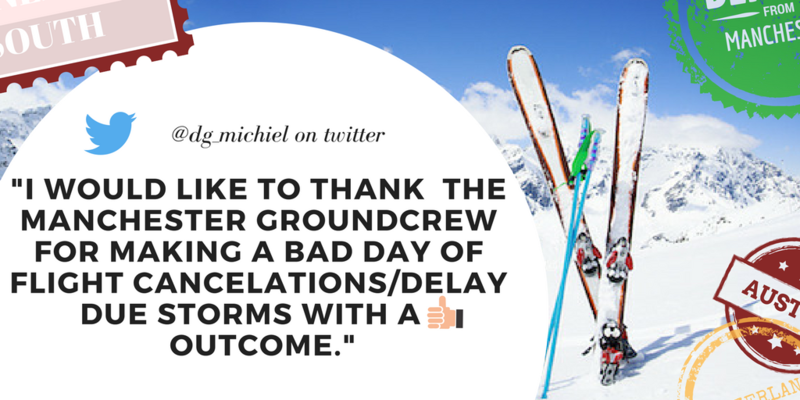 Planes cannot take off when there is any snow on the ground. My flight has been cancelled/delayed and I’m travelling with young children, help! Most major airports will have unsupervised play areas that young children can use as well as there being shops to browse and other amusements throughout the terminal. If your willing to pay to enter an airport lounge then there will be toys, games, an arcade and magazines available. Take a look at the facilities at Manchester in advance. Trouble getting To Manchester Airport?